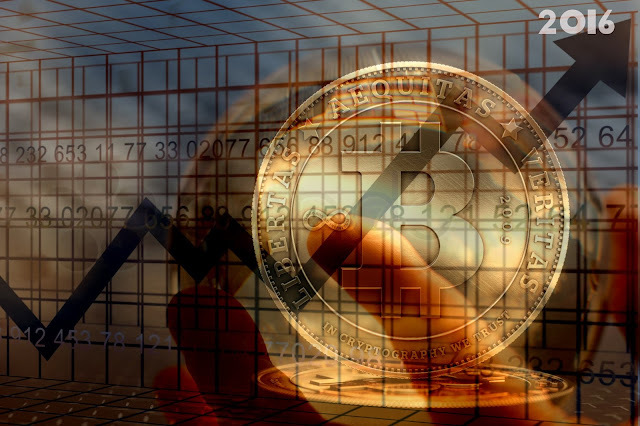 Tuur Demeester, an Economist and the Editor in Chief at the Adamant Research, recently shared his thoughts as to why there seem to be a lofty prediction on Bitcoin's price. After many months of debate, I think 2016 will reveal a decision about how to scale bitcoin for the next few years. There are a number of prudent and effective proposals on the table today, such as Pieter Wuille's 'Segregated Witness', and Adam Back’s BIP248. Tuur expects one of the many proposed solutions to be implemented before the summer, to then later be supplemented by innovations such as pegged sidechains and the Lightning Network. Renewed volatility in global markets will result to liquidity problems popping up unexpectedly. As a result, funds and investors will seek to hold assets with low counterparty risk. This would make bitcoin as one of these, more so than in previous years. Similar to how bitcoin had to overcome accusations of being a Ponzi scheme in the early days, sidechains technology is now met with skepticism and mistrust. As more operational sidechains come online and their utility and open-source nature become visible to the world, perceptions are expected to change for the better. Faced with a bear market in commodity prices which implies a declining demand for electricity, some big primary sector companies will partner up with bitcoin mining companies to provide them with legal framework and physical infrastructure – allowing bitcoin transaction processing to take place in some of the most barren regions of the world. Bitcoin exchanges integrating with each other internationally, deployment of more bitcoin ATMs and growth of bitcoin-friendly remittance platforms will allow for more and more people around the world to send money to their home country using bitcoin as a vehicle. Should we see increased volatility in fiat currencies and the enforcement of exchange rate controls, then those too will serve as a catalyst for bitcoin remittance growth. In mid July 2016, the amount of new bitcoins awarded to bitcoin miners will drop from 3,600 BTC per day to 1,800 BTC per day. With that, the annual increase in the bitcoin money supply will drop from 9.17% to 4.09%. Miners will have a diminished capacity to influence the markets (rumor has it that over the past two years they have engaged in quite a bit of short selling prior to pushing newly mined coins in the market). Demeester expects that with the block halving, all else being equal, to have a positive effect on the bitcoin price. In the bitcoin community, developers come with new hacks and solutions on a daily basis, competition is fierce and decidedly global, investors are eager yet often inexperienced and banks and governments are uneasy and fickle. Bitcoin technology is only seven years old and bitcoin as a financial asset is only five. Over the next 12 months, expect to be surprised. It’s for that reason as well that Demeester only attaches a 75% probability to his predictions above. 2016 is shaping up to become an incredible year for bitcoin – maybe it will be the year when investors finally realize they cannot afford to not pay attention to this paradigm shift in money and finance. Tuur Demeester is an independent investor, newsletter writer and editor in chief at Adamant Research. Launched in 2015, Adamant Research provides a monthly newsletter service. The inaugural report, ‘How to Position for the Rally in Bitcoin’ can be found here.